Thanks for visiting the https://www.findcarjapan.com website and reviewing our privacy statement. Please read this Privacy Statement carefully so that you understand what information we collect through our website and what we do with that information. This Privacy Statement applies only to information collected online through the https://www.findcarjapan.com website and does not describe the ways in which we may collect or use information obtained offline or through any means other than our website. If you have any questions about this Privacy Statement, please Contact Us. 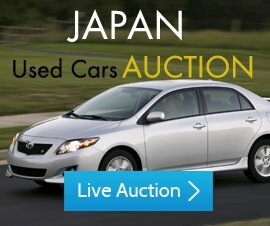 The https://www.findcarjapan.com Site does not automatically gather any specific personal information from you, such as your name, phone number or e-mail address. We would only obtain this type of information if you supply it by sending us an e-mail or registering our membership. The https://www.findcarjapan.com Site does not normally use "cookies" to track how our visitors use this site or to determine sites previously visited. If cookies are in use and you have your cookies notification option activated on your browser the system will notify you before any cookies are used so that you may refuse them. (A "cookie" is a file that may be placed on your hard drive without your knowledge by a Web site to allow it to monitor your use of the site. )We will not give out any personal or business information to third parties, unless required to do so by law, or for the purpose of shipping and clearing the vehicle.